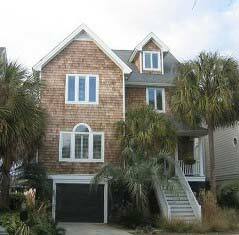 Are you looking for specific features in a Wild Dunes home? To the east of downtown Charleston and on the north portion of the Isle of Palms is the oceanfront resort community of Wild Dunes. A five minute drive to the excitement of Mount Pleasant, this exclusive gated community is home to some of Charleston's most sought after properties with breathtaking views and a relaxed atmosphere. Like Kiawah Island and Seabrook Island to the southwest, Wild Dunes is a private resort that caters exclusively to its guests and residents. Slightly more developed than its two sister communities, Wild Dunes' close proximity to shopping and entertainment make it a favorite destination for visitors and residents. The Swim-Social Membership allows access to 2 beachfront pools at the Grand Pavilion, the pool and children's splash area at the Swim Center, recreation programs at the Resort, Club social events, and Member rates throughout the resort facilities. Tennis/Swim-Social Membership adds tennis access to the pool and social privileges. 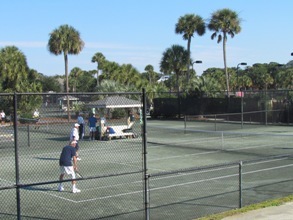 Wild Dunes has an excellent tennis program and was ranked 9 consecutive years as a U.S. Top 10 Tennis Resort by Tennis Magazine. Specifically, this membership allows you to use the 17 Har-Tru courts (5 of which are lit and 1 is a stadium style court), Pro Shop, and special rates on clinics. Golf/Swim-Social Membership includes complimentary greens fees as well as discounted rates on lessons in addition to pool and social privileges. 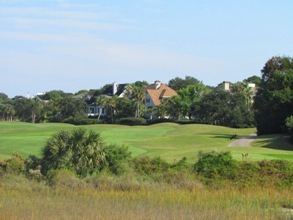 Wild Dunes is home to 2 of the best golf courses in the Southeast: the Harbor Course and Wild Dunes Links Course. These courses were both crafted by golf course designer Tom Fazio, and they see over 70,000 golfers each year. The Links Golf Course tends to be the favorite since it ends overlooking the Atlantic Ocean. For 6 of the past 7 years, this course was named in the Best Courses You Can Play by Golfweek. The Links Clubhouse offers a pro shop and practice facilities including a driving range, putting green, and chipping area. 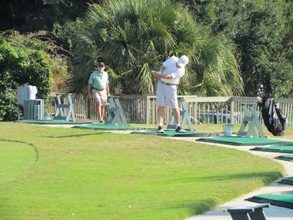 The Harbor Golf Course also offers fantastic water views ranging from marshes to lagoons to the Intracoastal Waterway. Together, these golf courses have put Wild Dunes among the Top 20 Southern U.S. Golf Resorts by Condé Nast for 2 years in a row. 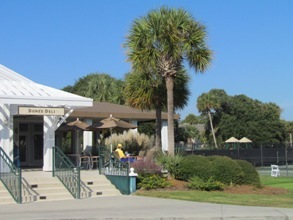 To enjoy all the amenities that Wild Dunes has to offer, homeowners purchase the Golf/Tennis/Swim-Social Membership. Real estate on Wild Dunes comes at a premium, with prices beginning at the $500K range for houses and the $300's for condos and townhouses. However, these prices are reasonable when taking into account that many homes are either beachfront or within walking distance to the beach. 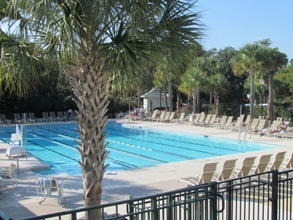 The private recreational facilities just off the beach also make this community stand out among Charleston's 6 beaches. 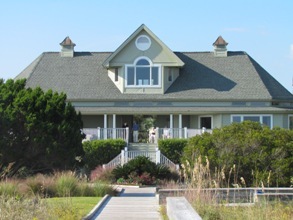 Most homes in Wild Dunes offer unbelievable views of the ocean, the marshes and lagoons, or one of the golf courses on the island. 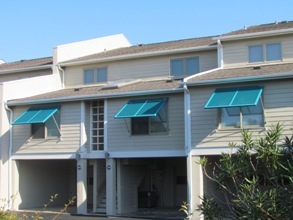 There are a large number of condos, villas, town homes, and cottages for sale year round in this resort. However, many of these are placed on rental programs throughout the summer, meaning that they require plenty of notice in order to make appointments for showings. So, when you're planning a trip, let us know in advance so that we can have all of your showings lined up and ready for you! These are the 10 most popular townhouse and condo communities in Wild Dunes. We've included approximate costs to help you compare, but keep in mind that these estimates are subject to change. If you're interested in any of these, just let us know so that we can confirm prices for you. Also, know that these require a Wild Dunes Fee at closing (which is .005 x sales price). 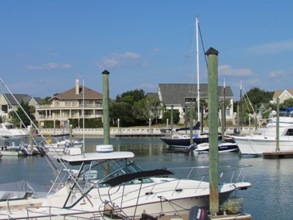 For boaters, Wild Dunes has a full-service marina with boat slips available for rent or for sale. You’ll find over 102 dock slips in the Morgan Creek Harbor. Boating amenities include cable, electric, and water access. There is also a bathroom/shower facility at The Halfway House. 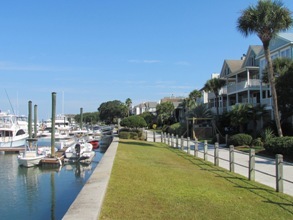 Altogether, the docks at the Yacht Harbor Marina make up more 16,000 sq ft and offer a private boater’s haven amidst the beautiful waterways that Charleston is known for.